Those people whose life mission is to attack Pastors blindly won't like this. 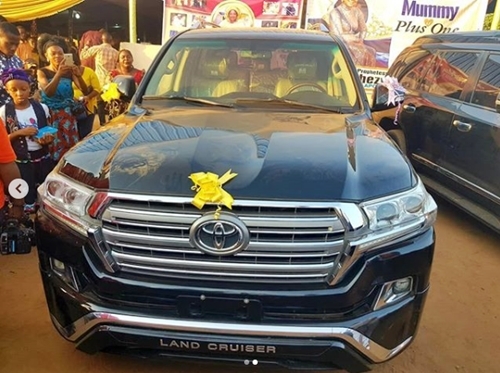 CEO of Muccon Resources Ltd, Escoba Smith, has gifted his pastor a brand new 2018 Toyota Landcruiser SUV, said to worth over N40m, to celebrate her birthday. 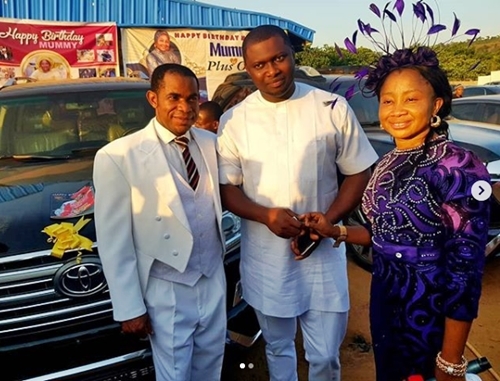 He shared photos of the car presentation and wrote: "Thank you, my spiritual mother for bringing out the best in me with your messages of love, prosperity and righteousness. As you celebrate your birthday, may God’s blessings, grace, favor and guidance continue to be with you! Accept my token warmest gift#2018 Toyota Landcruiser."